some nice baked goods at home. bumped into this yummy looking fruittart. it fits its place in the winter-scene as well. 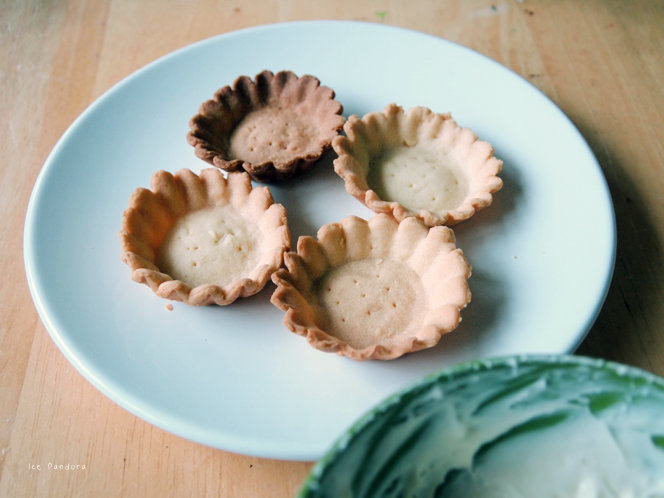 And I've made eggtarts with the leftover pastry. 1.Seive the flour and the icing sugar in a bowl. Rub the butter trough it until a crumble dough. 2. 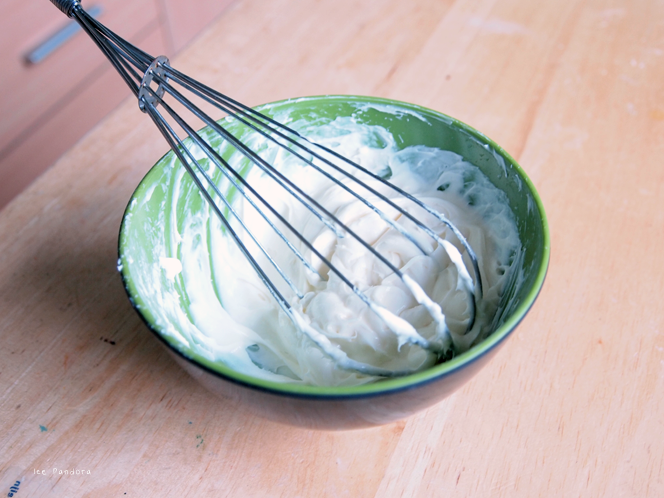 Add the egg yolk and the milk to form a smooth dough. 3. Wrap the dough in clingwrap and chill for 45 min. in the fridge. 4. Pre-heat oven to 200C degrees. 5. Unpack the dough from the clingwrap. 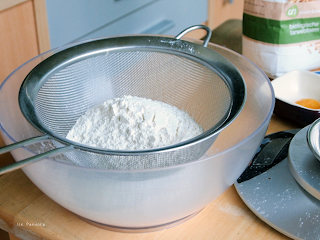 Dust the workspace with flour. 7. 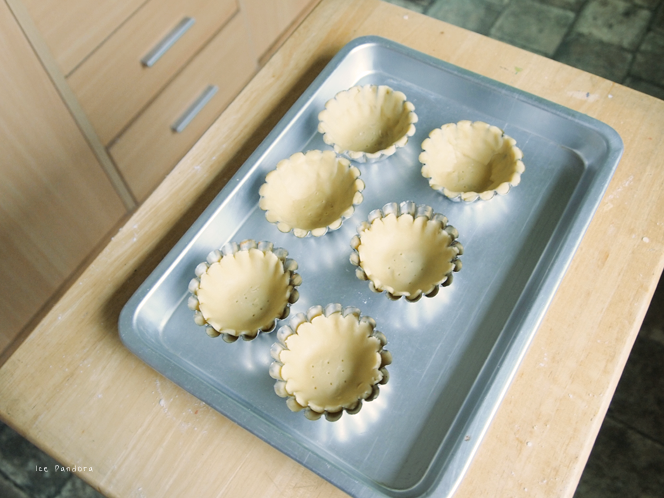 Bake the tart for 10-15 minutes. Let them cool down in the molds. 8. Whip the creamcheese and icing sugar together in a bowl. 9. With a spoon, scoop up the mixture and place them in the center of the tarts. 10. Garnish with your favorite fruit and you are done! I wish I could bake .__. 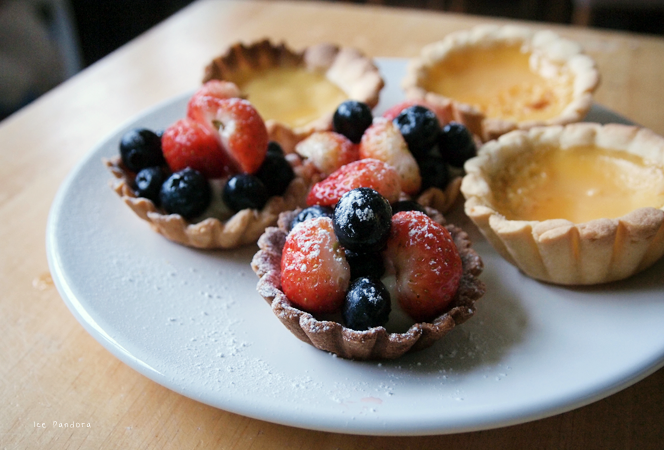 ahhhh those fruit tarts are great! 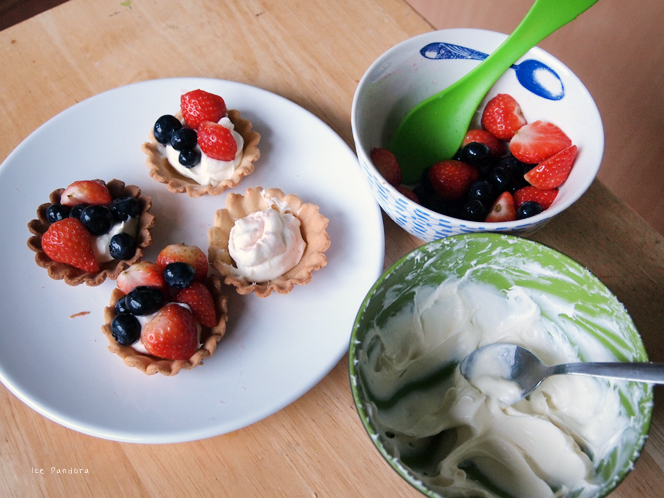 That pan would be a perfect present for one of my baker friends and she could make me all the tarts I want. I think I'll show her this recipe too :) thanks for the idea. 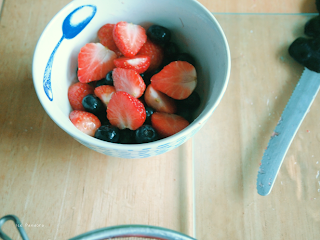 Oh my god, looks so yummy! EHHH THIS LOOKS SOOOO GOOOOD!!! I wish I was good at baking (I'm so impatient and have a bad habit of short cutting processes D: ) but yes THIS LOOKS DELISH!!! YUM! I just came home from a buffet but I could definitely still eat one of these! Delicious! I'm craving something nice and sweet now! Ohh dat ziet er heerlijk uit, mmm Een traktatie uit duizenden! kom gezellig een kijkje nemen met m'n nieuwste post! Wat een leuke en gezonde snack. Ook leuk om uit te delen. oehhh ziet er lekker uit :D mooi gemaakt! i am always so blown away by your skills in the kitchen, my dear. these look so lovely. i would try to attempt them myself but i fear i am not that advanced of a baker yet! gahhh, i was looking at your post thru my cell phone but for some reason wasn't able to comment!! but i really wanted to tell you that you are amazing!! i can't believe you make so many food goodies all the time. i don't have the patience to do so. well but then again, you do pixel art too. i feel like you have to have lots of patience for that as well. have a happy new year btw! These look absolutely gorgeous! Would love to try the recipe. Hope you had a lovely Xmas, Mei! Oh lordie, wat een heerlijkheid! Yum, they look delicious! I wish I was nearly as talented as you :( The only thing that I can possibly make taste good are toffee shortbread cookies. 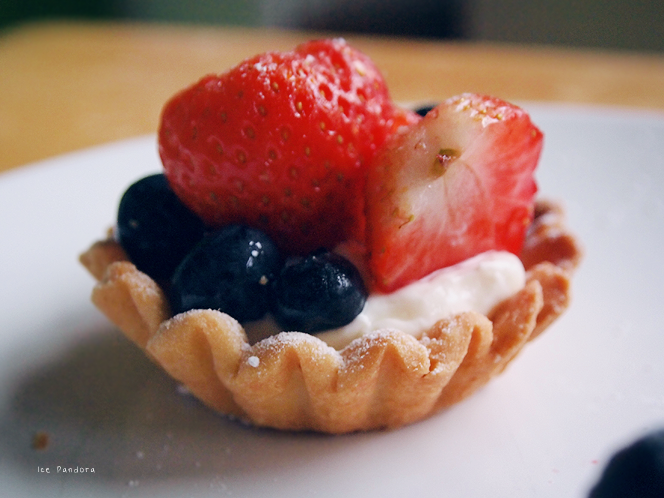 Tarts look pretty tough to make! The construction must not be an easy process. Final product looks delicious though! Looks delicious! 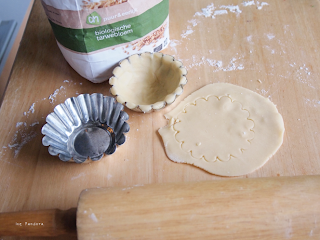 You're a natural with cooking/pastries! 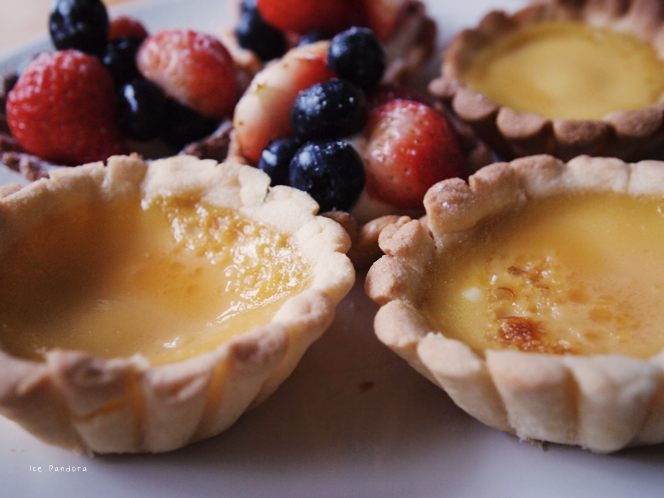 Those tarts look so delicious!